Hello my fellow wine and diners. It's wine and dine week! Why does it feel like the days until Disney click off relatively quickly until you're about two weeks out? Then the days feel like molasses. I'm so ready to be back in my happy place with my family for another fun race weekend! 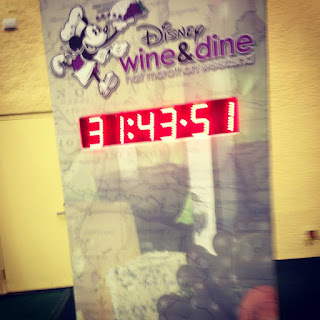 Recently runDisney released their Wine and Dine event guide and there is a lot of information in there. It can be difficult to find what you need. Here's a breakdown of the basics for the expo and each race to help! Make sure you check out the event guide for your special offers and virtual goodie bag. The Wine and Dine Half Marathon kicks off on Thursday, November 2 with the Health and Fitness Expo at ESPN Wide World of Sports. The expo is open on Thursday from 10:00AM-7:00PM. 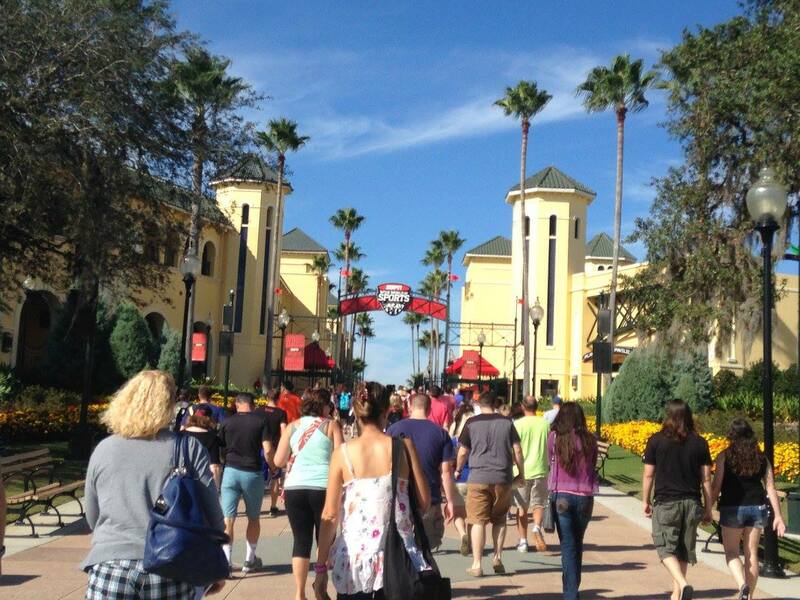 Busses will run to the expo from your on-site host resort from 9:30AM-6:30PM. These are special runDisney busses that are contracted by Mears. 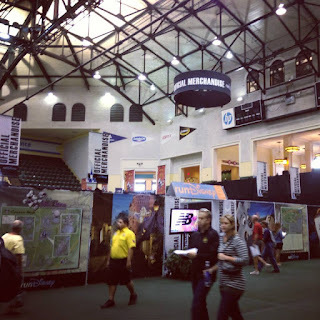 You will need to attend the expo at least the day before your first race (5K, 10K, Half, Challenge). According to the event guide, there will be no bib pickup on race morning. This means if you are participating in the Fall Feast 5K on Friday you need to go to the Expo on Thursday. The same is true if there is merchandise that you absolutely HAVE to have: Tervis tumblers, wine glasses, and medal pins are hot ticket items. Please note that strollers are not allowed in the HP Field House and the J Center. Otherwise, wait until later in the day on Thursday or another day entirely to make your trip to the expo. The expo is open on Friday, November 3 from 10:00AM-7:00PM and busses to the expo run from 9:30AM-6:30PM. On Saturday, November 4 the expo is available from 9:30AM-3:30PM with busses running from 9:00AM to 3:00PM. The year I convinced my friend Andrew that this would be fun...and it poured ALL.RACE.LONG. If you're planning on heading to Disney Springs after the Expo, there will be busses running directly to Disney Springs. On Thursday and Friday these busses will run from 11:00AM-7:30PM. On Saturday they will run from 10:30AM-4:00PM. In order to get your race bib in the HP Field House, you will need your signed waiver and a photo ID. If you forgot your waiver, you will be able to print it at the Expo. This is also where you will be able to pick up any commemorative items you have pre-purchased. 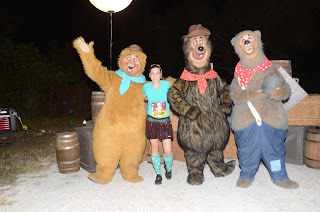 The Fall Feast 5K is on Friday, November 3 at Disney's Animal Kingdom with a 5:30AM start time. Bus transportation from host resorts will run from 3:30AM-8:30AM. All race participants need to be on a bus by 4:00AM to make it to their corral in time for the start. If you are checking a bag of your gear, the gear check opens at 4:00AM. Gear check closes at 9:00AM. You will need to be in your starting corral 30 minutes prior to race start. There will be one water stop along the course. 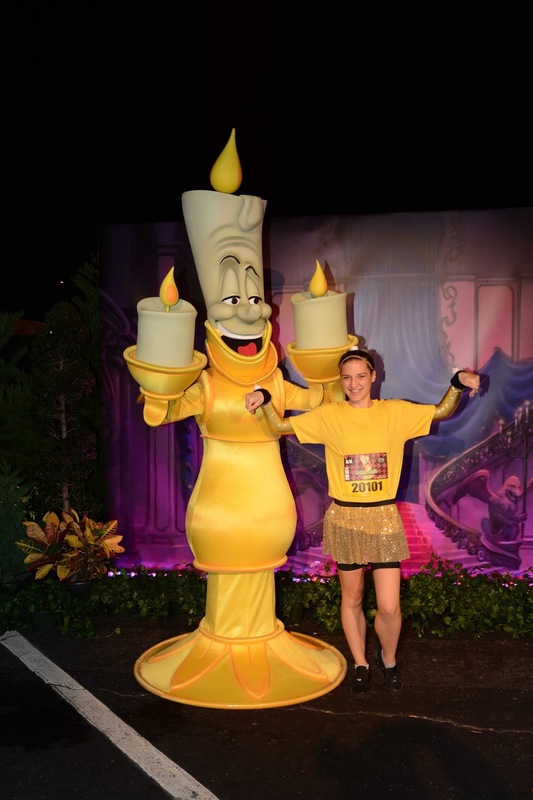 The Wine and Dine 10K on Saturday, November 4 starts at 5:30AM in the Magic Kingdom parking lot. Busses to the race start staging area from host resorts will run from 3:30AM-5:00AM. All runners need to be on a bus by 4:00AM to make it to the start on time. 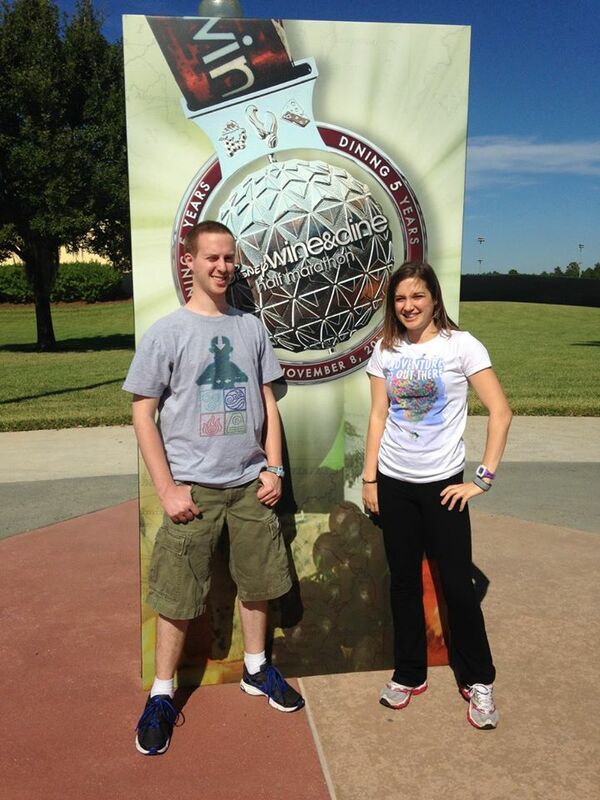 If you're driving to the race, you'll park at Epcot where the finish line is located. 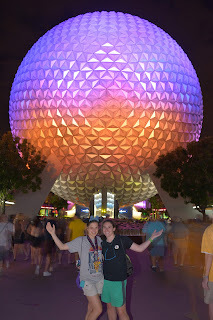 Busses from Epcot to Magic Kingdom will run from 3:30-6:00AM. For spectators, busses will run to the finish line from host resorts from 6:00AM-9:30AM. Please no, monorails will not be running at this time. If you are checking a gear bag, you can check it at the start staging area from 3:30AM-5:00AM. You can pick up your bag at the finish line from 5:00AM-10:00AM. 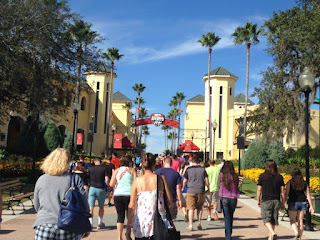 Like some of the other runDisney races, plan on at least a 20 minute walk from the start line staging area to the corral. Runners must start in the corral with the letter indicated on their bib. There will be 3 water stops along the course. 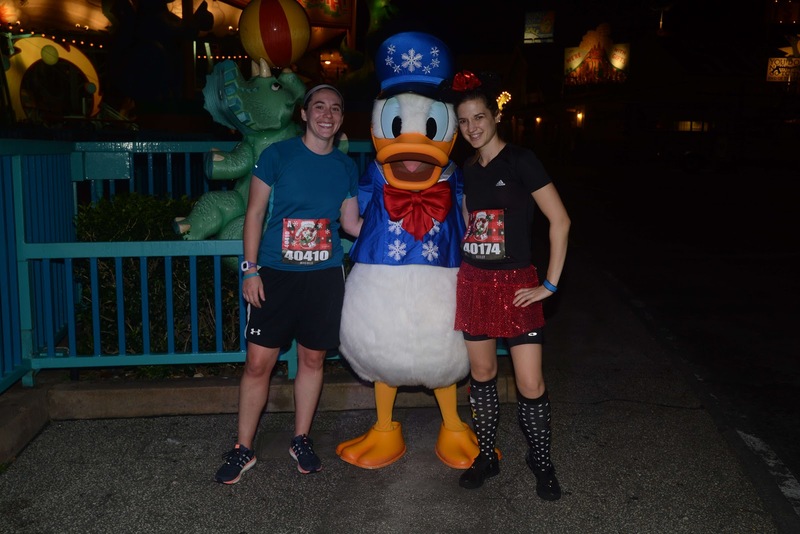 The runDisney kids races are on Saturday, November 4 at the ESPN Wide World of Sports Complex. The dashes start at 10:30AM and the mile starts at 1:00PM. Participants should use the transportation to the Expo for these races. Each age group will have their own start and finish lines that are color coded to match the bib, so it should be easy for parents to find. If they wish, parents may run with their children. 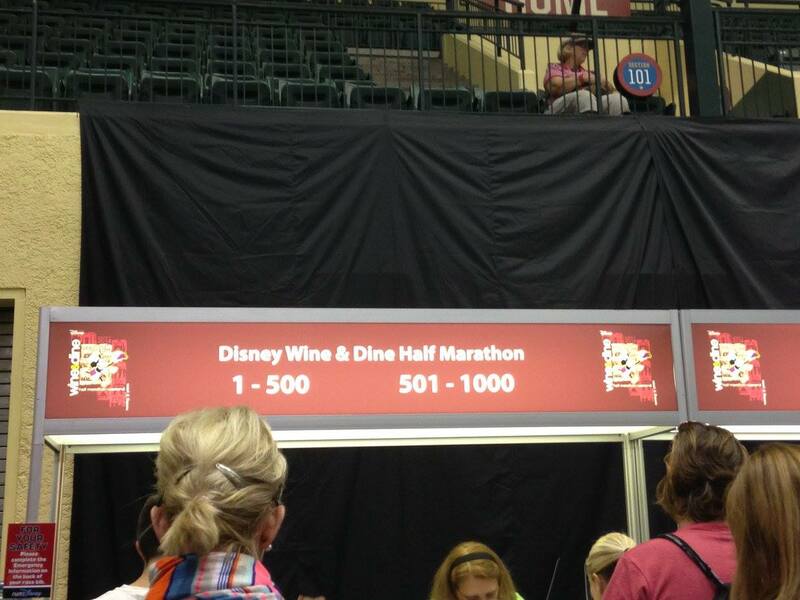 The Wine and Dine Half Marathon is on Sunday, November 5. Don't forget to turn your clocks back one hour! The half marathon starts at 5:30AM in the Magic Kingdom parking lot. 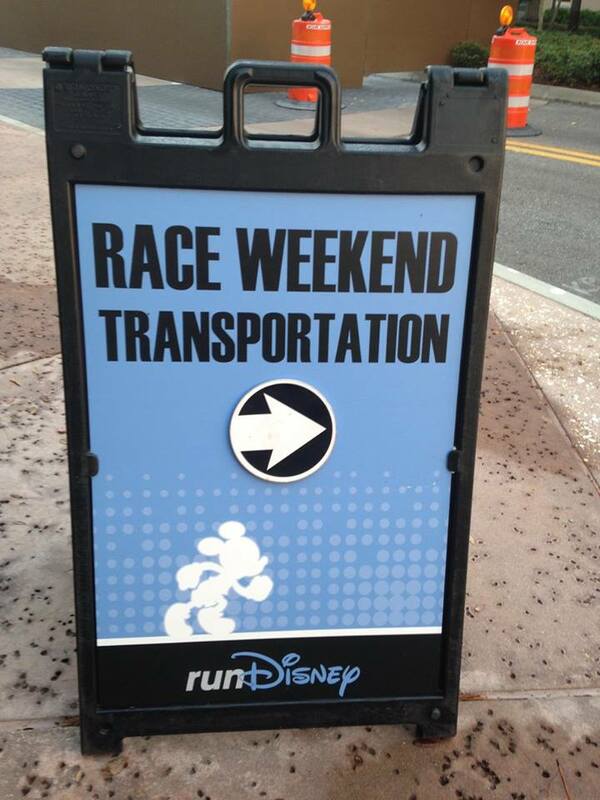 Busses will run from Disney World resorts from 3:00AM-5:00AM to the race start. 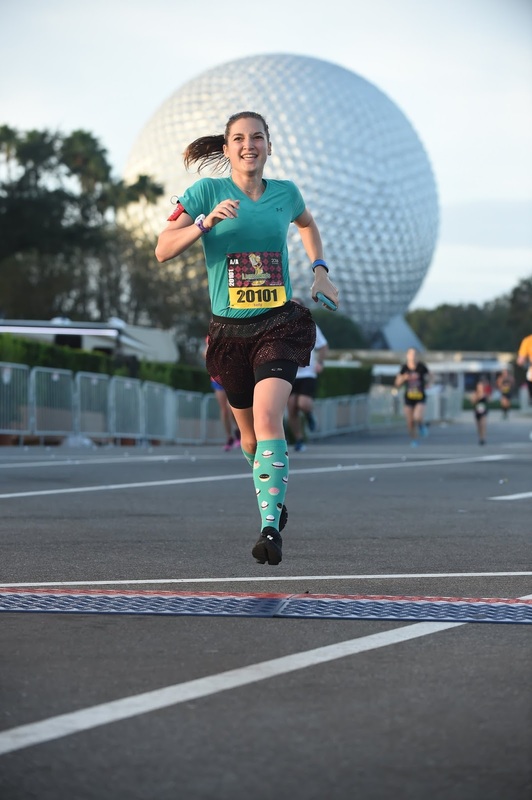 For those driving their cars and parking at the finish in Epcot, the race busses to the start line at Magic Kingdom will run from 3:00AM-6:30AM. All runners need to be on a bus by 4:00AM to make it to their corrals on time. 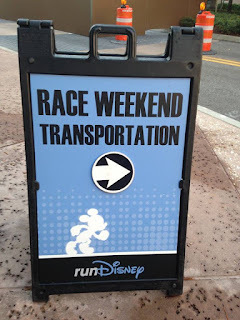 From 6:00AM-11:00AM busses will run between the host resorts and the finish line at Epcot. Reminder, there will be no monorail service in the morning for runners. You can drop off your Gear bag from 3:00AM-5:00AM at the start line staging area. You can pick up your checked bag at the finish line from 5:00AM-11:00AM. Plan on at least a 20 minute walk from the start line staging area to the corrals. Your corral will be indicated by the letter on your bib. There will be 9 water stops along the course offering water and PowerAde. There will be a nutrition stop at mile 8 where volunteers will be distributing Sport Beans energizing jelly beans. The Post Race Party on Sunday, November 5 will run from 10:00PM-1:00AM in Epcot. Guests can enter with their party ticket at 8:00PM. Participants in the Half Marathon and the Challenge should have received their party ticket by now. The after party will include food and wine festival booths, character meet and greets and select Epcot attractions (historically, Spaceship Earth, Soarin' Around the World, Test Track, Frozen Ever After). 5K and 10K participants as well as spectators can purchase after party tickets for $79. All participants in the races will need to wear their race bibs pinned to their shirts. Make sure to fill out the emergency information on the back of the bib. Your race bib will also contain your timing chip for the 10K and Half Marathon. Challenge participants will have one bib for both events. What races are you running this weekend?